Team Konnect is a team support mobile application which enables businesses of all sizes to manage their day-to-day communications between team members. It can be used by teams comprising of several departments, including management, sales, support, project and deployment to streamline the team communication process and keep everyone fully updated. Team Konnect allows your teams to focus on common objectives, managing their daily routines by sharing information using formal processes. It facilitates communication between team members, allowing tasks to be assigned and comments to be added throughout each stage. It allows your managers and administrators to monitor the progress of all active tasks and to ensure that all team members always have the most up-to-date information at all times. ERS has in-depth knowledge of and experience in deploying Team Konnect Online. We will assist you with using Team Konnect to improve your business processes and help your teams to get their work done in a fast and efficient manner, improving productivity and saving significant costs. 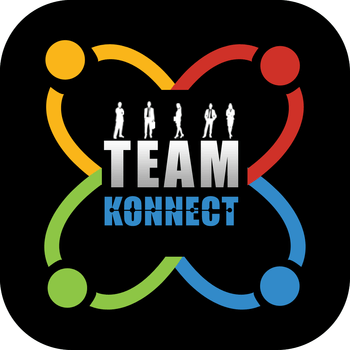 Contact us today to arrange a free consultation on how your organisation can benefit from the deployment of Team Konnect Online – the team communication app that every workplace should use for optimum productivity. Team Konnect is made up of two components: a customer portal and a mobile application. The solution enables your business to manage all relevant customer information, manage new leads and generate any quotations required based on the products and services that you offer. Successful quotations can then be selected and converted into jobs that include a full list of the products to be deployed and background information on the work to be carried out. Each job can then be assigned to the appropriate team members. Your mobile team members can be assigned their list of jobs to be completed for the day, week or month. They can then manage each job while in the field, capturing data, photographs and signatures to enable verification of the work performed and provide proof of completion. Assigned tasks can be time-based, providing full visibility of the amount of time spent by your resources on each specific task or job. Remedial works can be identified and relayed back to head office, where another quotation can be raised and forwarded to the relevant customer for approval.